Two thirds of the world's liquid fuels are used by diesel engines, but research from City University London is playing an important part in reducing pollution and improving the efficiency of these engines. A team of City academics has pioneered work on vapour pockets in fuel injection systems that has already helped improve the technology offered by major manufacturers including Toyota, Caterpillar and Delphi. The research looked at cavitation - the emergence and collapsing of vapour pockets in a liquid caused by changing pressures - which could cause damage to propellers, pumps, turbines, bearings and fuel injection equipment through surface erosion. The City research team has applied experimental techniques to cavitation within full-size injectors, rather than using simplified test nozzles. Tackling this issue has meant greater efficiency and extended life for engine components as well as cleaner and more environmentally sustainable engines. The research in this area has been led by Professor Dinos Arcoumanis, FREng, who relocated his team from Imperial College London to City in 2000. His team includes Professor Manolis Gavaises, Professor Jamshid Nouri and Dr Russel Lockett. Professor John Carlton, FREng, the former Global Head of Lloyd's Register of Shipping, joined the team in 2009 and expanded the activities of the group into the marine sector. The team was awarded a grant in 2011 from the Lloyd's Register Foundation to establish the first International Institute on Cavitation Research, in partnership with Loughborough University and Delft University of Technology in the Netherlands, with the Institute's headquarters at City. The Institute coordinates a large number of research projects across the world in this field. The findings of the City team, and the models and tools they have developed have influenced the design of fuel injection systems and combustion systems at Toyota, Delphi and Caterpillar, three of the five fuel injection equipment manufacturers serving the entire global automotive industry. Toyota Motor Corporation found that fuel injection nozzles based on the City research demonstrated a significant improvement in overall thermodynamic efficiency, and a more than threefold cut in soot and nitrogen oxide emissions. The company also states that its current combustion concept couldn't have been created without collaboration with the City team. 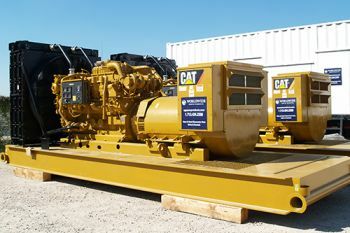 City researchers helped Caterpillar and its engine supplier Perkins overcome cavitation erosion problems in one of its newly launched engines, which had caused engine failures and excess smoke for customers. The work has led to improved designs for the company's CAT fuel systems products, making them more durable and reliable to meet and exceed customer expectations. The new approach to simulating cavitation and cavitation erosion is now implemented in Caterpillar's internal procedures. The City cavitation research is now being applied to marine engineering by companies including WÃ¤rtsilÃ¤ and BAE Systems. The work has taken forward the field of Computational Fluid Dynamics, with a new patented model and the advancement of understanding and practice in this area, such as the new term "string cavitation" which was introduced by the City research team and is now widely used, as well as the first use of x-ray densitometry - using x-rays to determine a material's density - to measure cavitation. The transport sector accounts for 22% of the world's global energy consumption, and this is expected to double in the next two decades. With diesel engines accounting for two thirds of the consumption of liquid fuel worldwide, the economic and environmental benefits from an improved efficiency within diesel engine fuel injection systems are significant. The research on cavitation pioneered by City has already influenced the design of engines within a number of major manufacturers, and looks set to have longstanding benefits in the transport industry and the global economy. Engineering and Physical Sciences Research Council, achieving total funding of Â£7 million.